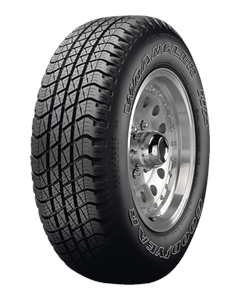 This is a high performance 4x4 tyre, which offers an on and off-road all season performance. The tyre has a 6 rib/block tread pattern for good highway performances. For better dry handling the tyre has compact shoulder blocks, and for wet handling it has longitudal centre blocks. Radial blading and shoulder notches give good traction both on and off-road.